If an in-person analysis is not an option for you, ordering color cards for at-home draping may be your best bet. 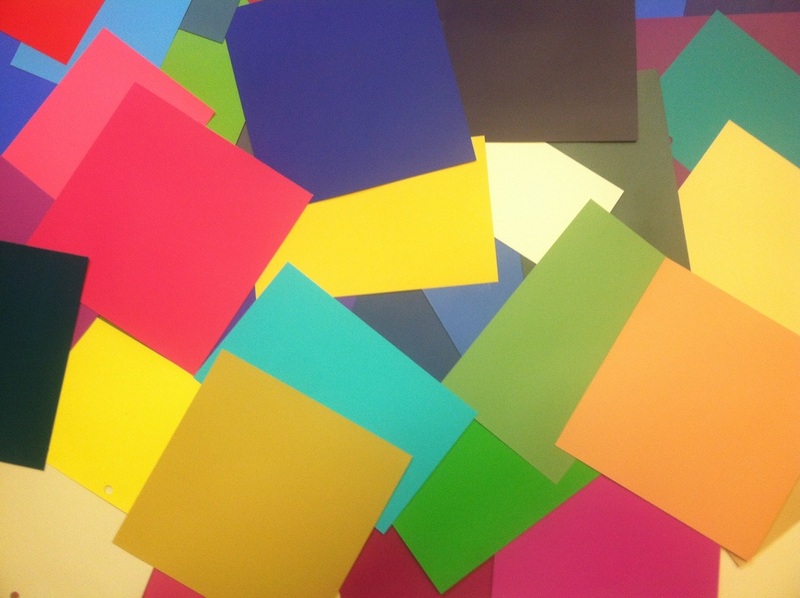 All of these color cards have been matched to original Sci/Art palettes. Each cardstock sheet is at least 4 x 8 inches. I send larger ones for individual colors, as they're available. Drape yourself at home, affordably. Receive a seasonal rainbow! This set allows you to see yourself in several of a season's colors, making your decision that much easier. When you place your order, I'll send you the list of color numbers and the season for each. The cards themselves will arrive in a few days. As always, be sure to drape yourself only in natural light, with your hair pulled back and your face free of makeup. The color cards are 4" by 8", 5" by 9", 6" by 9", or 8" by 8". You'll get confirmation from me within 24 hours of placing your order. Have you already narrowed it down a bit? Save a little money by comparing six seasons that are still contenders. As with the 48-card option above, I'll e-mail you the list of color numbers and the season for each, and the cards themselves will arrive in a few days.